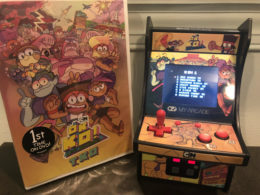 Post Tagged with: "OK KO"
“Super Black Friday” & “Plaza Alone” Recap – OK KO! Alex Bonilla, Michelle Anderer, & Steve Zec recap the latest two episodes of OK KO! Let’s Be Heroes!, “Super Black Friday” and “Plaza Alone”. The P.O.I.N.T. Prep Arc Recap – OK KO! Alex Bonilla, Michelle Anderer, and Steve Zec recap the latest five episodes of OK KO! Let’s Be Heroes! : “Special Delivery”, “Wisdom, Strength and Charisma”, “Bittersweet Rivals”, “Are You Ready for Some Megafootball?” and “Mystery Sleepover”. “P.O.I.N.T. 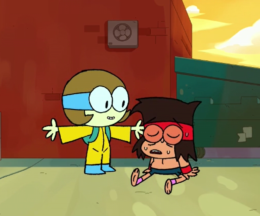 To The Plaza” to “Dendy’s Power” Recap – OK KO! Alex Bonilla, Michelle Anderer & Steve Zec recap the latest four episodes of OK KO! Let’s Be Heroes! : “P.O.I.N.T. To The Plaza”, “TKO’s House”, “Back in Red Action”, and “Dendy’s Power”. 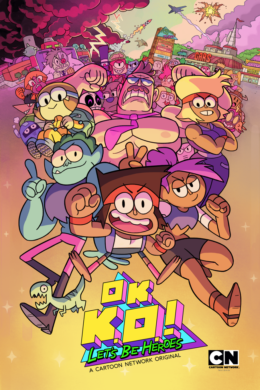 Season 2 Premiere Recap – OK KO! “You’re In Control” Recap – OK KO! Alex Bonilla, Michelle Anderer & Steve Zec react to “You’re In Control”, the season 1 finale of OK KO! Let’s Be Heroes! “RMS & Brandon’s First Episode” to “Hope This Flies” Recap – OK KO! Alex Bonilla, Michelle Anderer & Steve Zec recap the latest five episodes of OK KO! Let’s Be Heroes! : “RMS & Brandon’s First Episode”, “Let’s Not Be Skeletons”, “Action News”, “The Perfect Meal” and “Hope This Flies”. “Glory Days” to “Villains’ Night” Recap – OK KO! Alex Bonilla, Michelle Anderer, & Steve Zec recap the latest eight episodes of OK KO! Let’s Be Heroes!, from “Glory Days” up to the “Villains’ Night” two-parter.